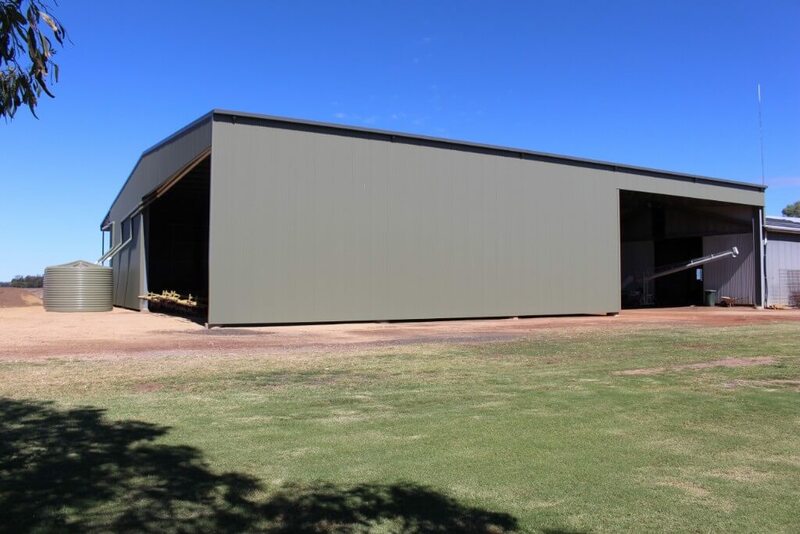 The customer had an existing shed and wanted a larger shed built next to it. 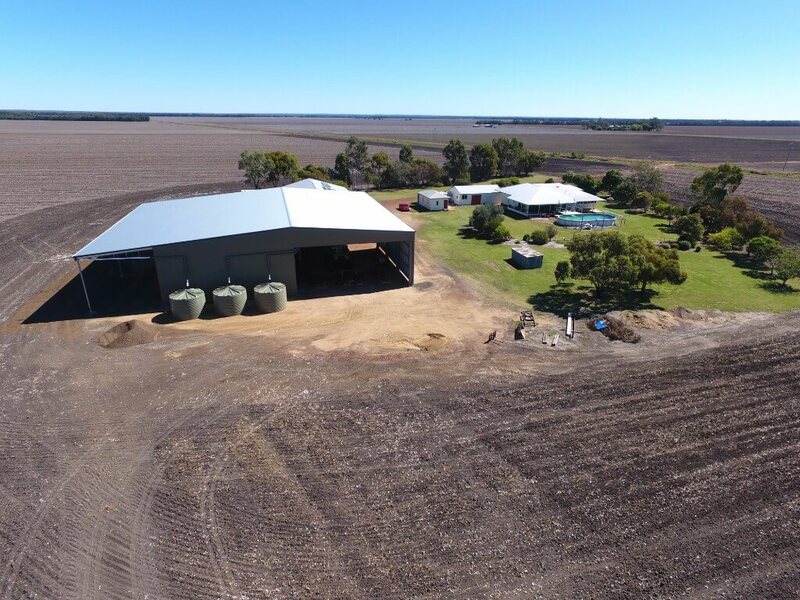 The new shed needed to be connected to the original shed so the customer could easily move between both sheds, particularly in wet weather. 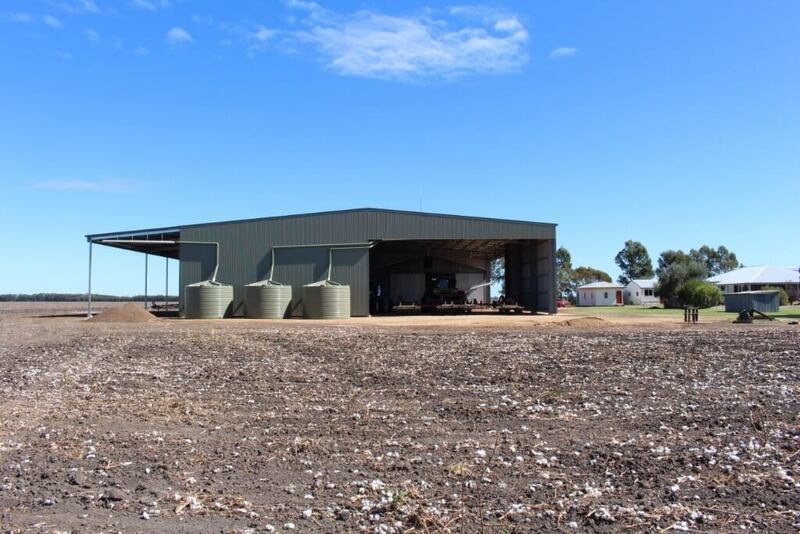 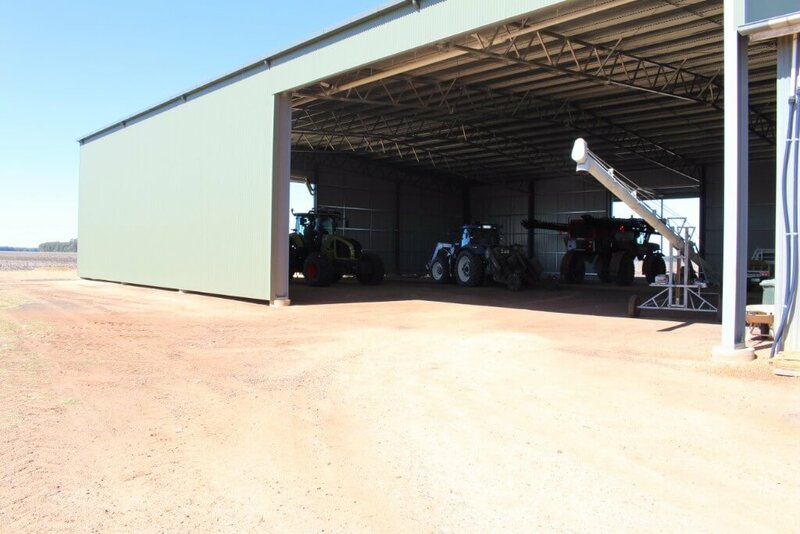 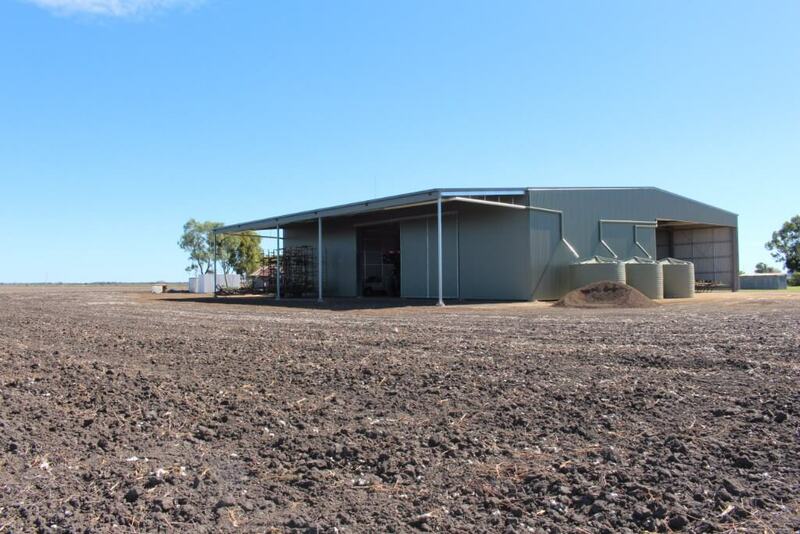 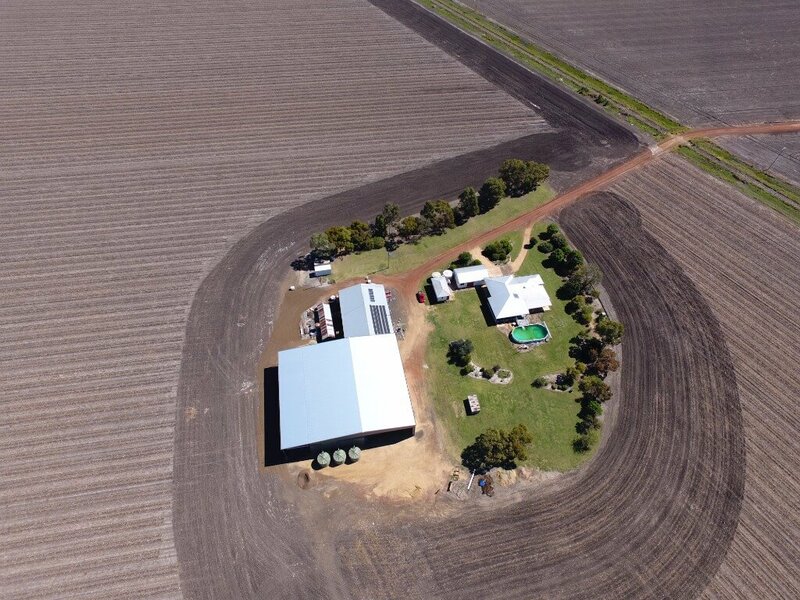 The new machinery shed needed a wide opening of 16 metres to allow the customer to drive his planter into the shed without disconnecting it from the tractor. 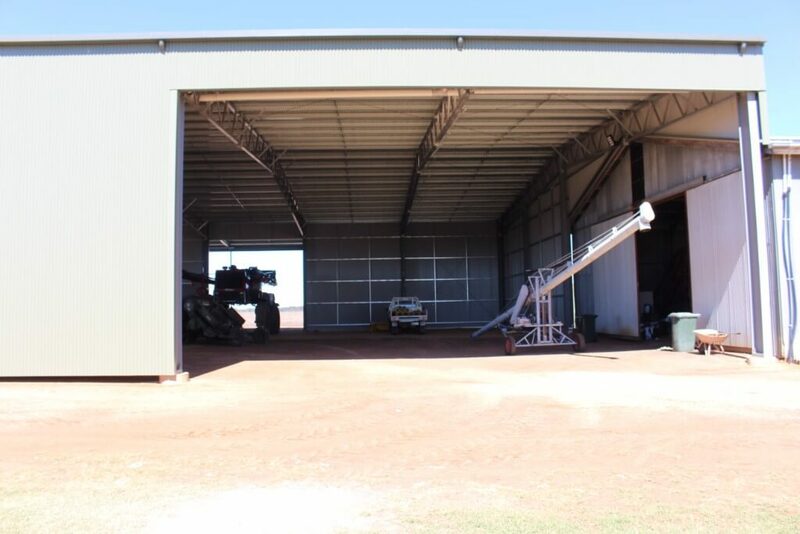 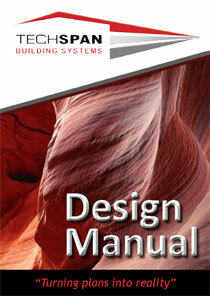 30 metres wide, 32 metres long (Five 6.4 metre bays), 7 metres high. 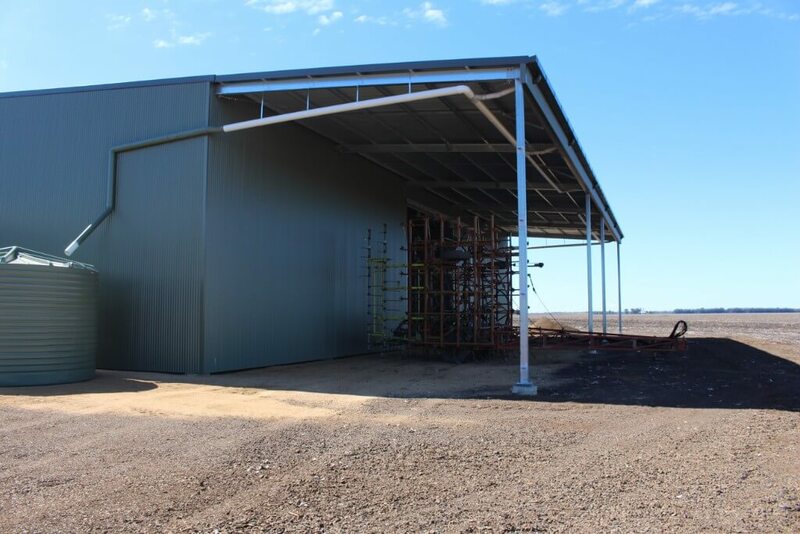 We removed a column on one side and installed a reinforced girder truss to make a 12 metre opening. 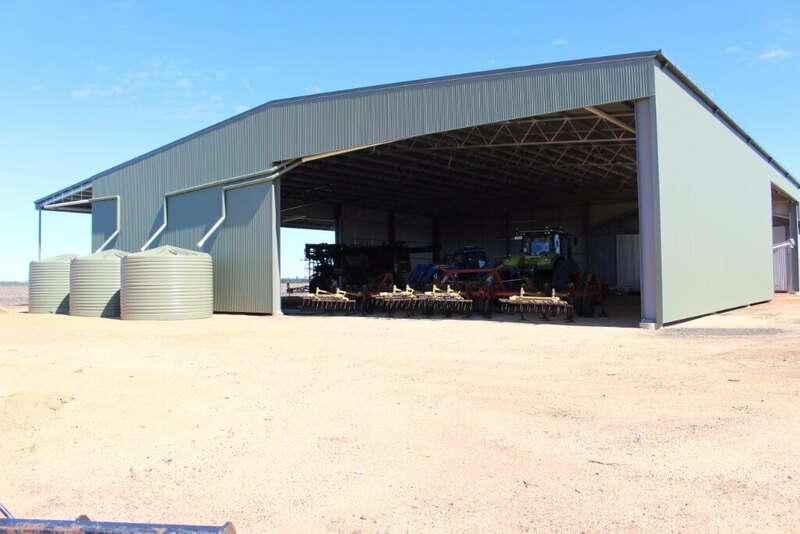 A 16 metre opening at one gable end. 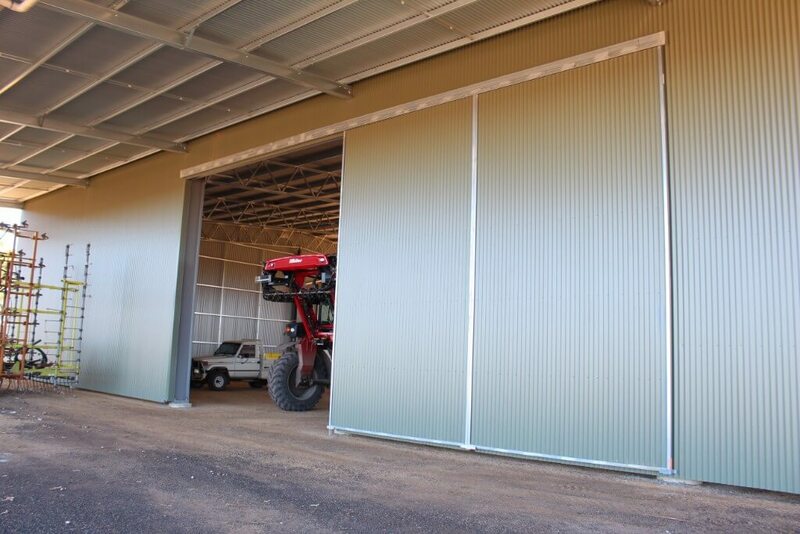 One 6 metre by 6 metre sliding door so he can close of the shed from weather systems coming from the south west. 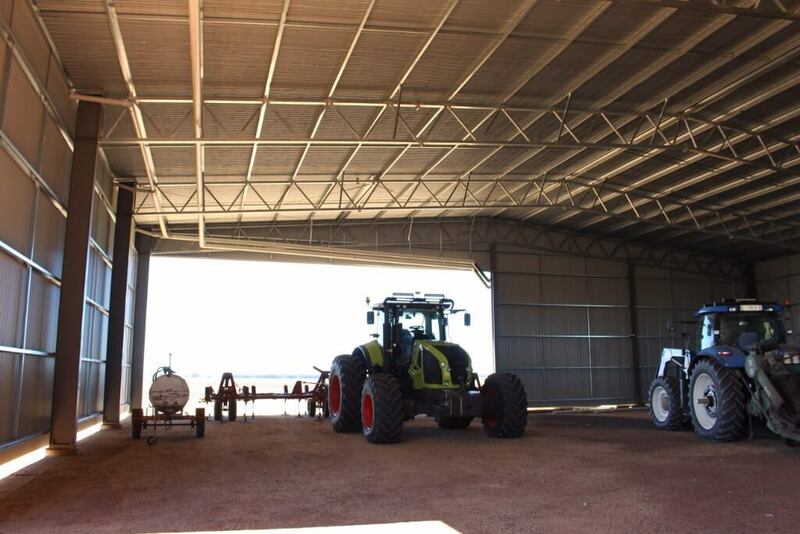 Seamless integration between existing shed and new shed. 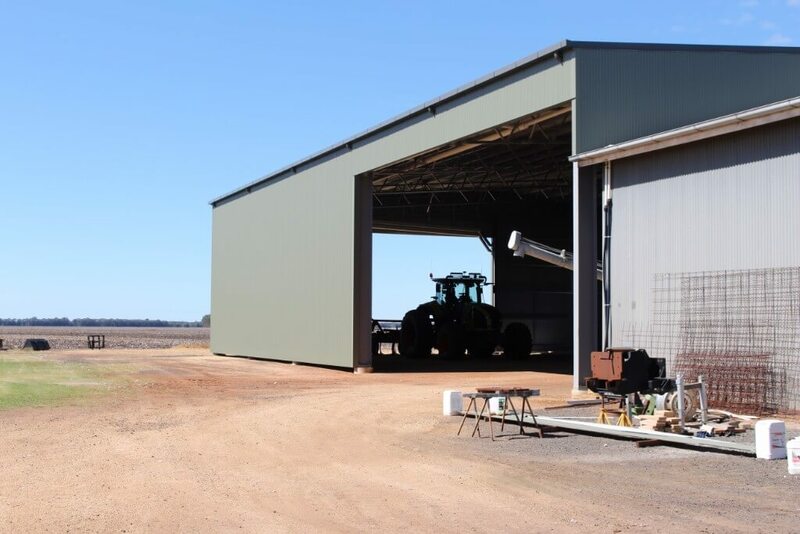 The old shed was not suitable to build directly onto. 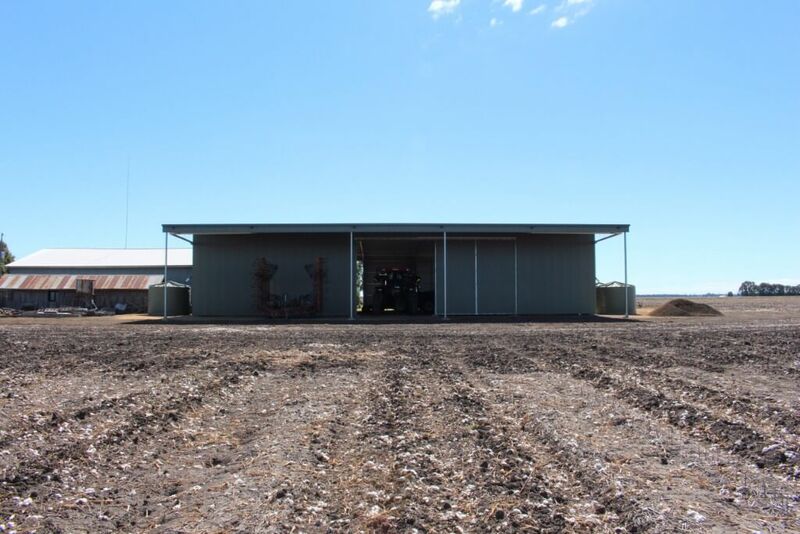 The customer wanted to continue using the original shed, but also wanted to be able to move between both sheds. 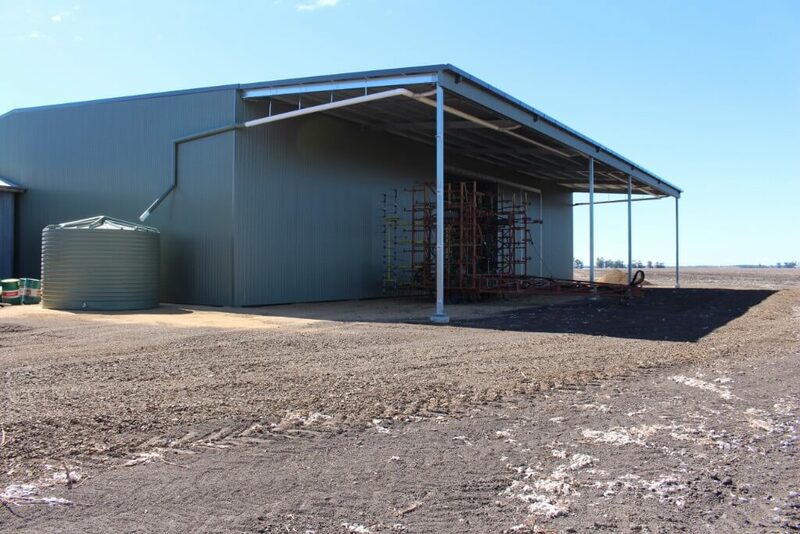 TechSpan built a large free standing structure directly next to the original shed. 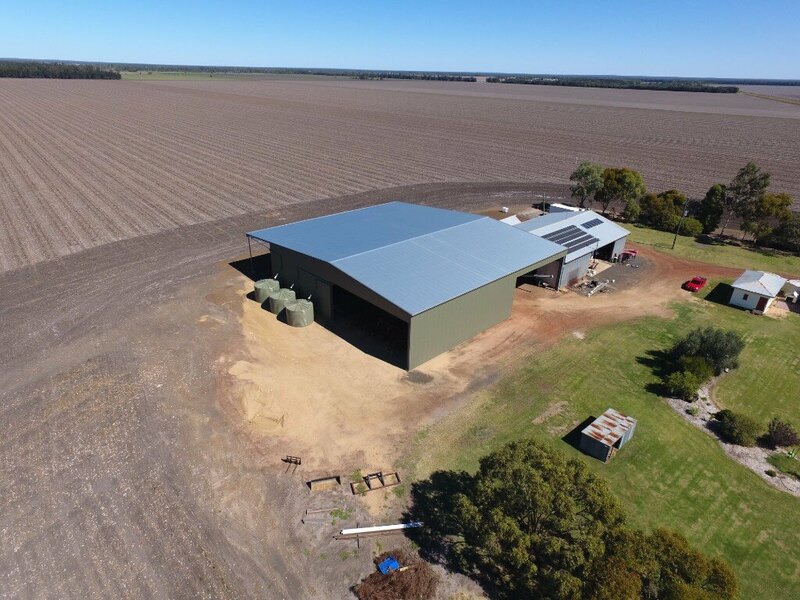 We ran the sheeting down the side of the new shed to the top of the original shed. 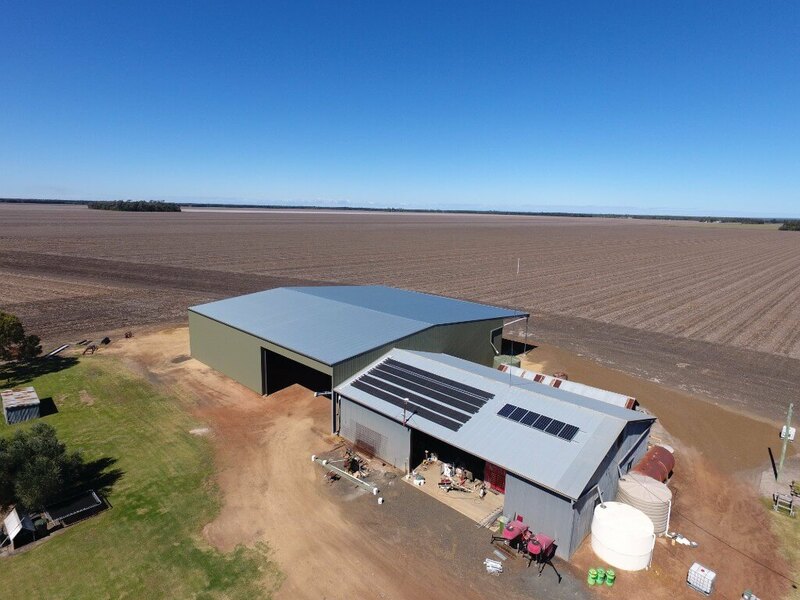 We then custom built a flashing to seal the two sheds together, waterproofing it and providing a clean professional finish.